Since Ionic v1 was released several years ago, I have been massively impressed by the framework’s goal to build native-like applications using pure web technologies. Throughout v1, v2 and v3, Ionic was tightly coupled with AngularJS/Angular. It very quickly became the framework to build mobile apps using Angular. The prominence of React in the 2019 Stack Overflow Developer Survey finally pushed me to try React with a bit more seriousness. Since @ionic/react released in beta just a few weeks ago, I felt it the perfect opportunity. 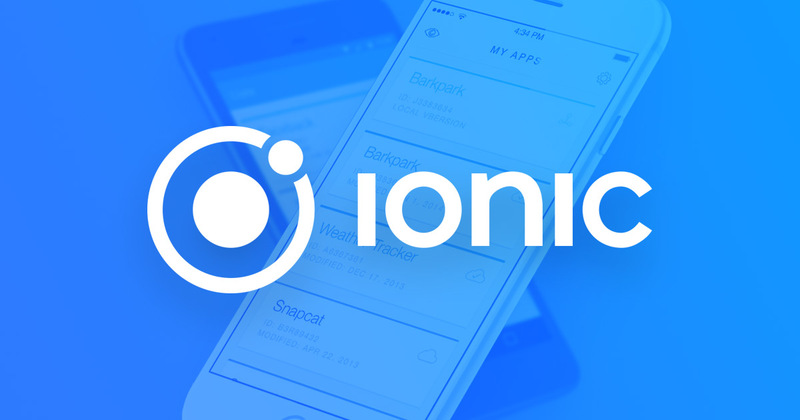 In this post I will walk through creating a simple Ionic 4 app using @ionic/react. I started this tutorial when @ionic/react was at v0.0.4 and my hope is the pipeline doesn’t change too much – or I at least have time to come back and update this guide. Given my lack of any credible experience with React (I primarily work with Angular, and sometimes Vue), this post will only cover the basics of getting a simple app with some routing set up. That being said, if you are #TeamAngular like myself and want to try Ionic + React – this post may be the perfect fit for you! Step 1: We start by creating a new React project using create-react-app. You can install it globally using npm, or use npx. You can then navigate in to your project and kick off the development server. Now if you execute npm run start from the command line, you’ll see a simple app with a button on the Home screen which navigates you to the About screen.